In 2009, Nokia began seeing challengers to its market share as a result of the growing demand for smartphones. Realizing a shift in customer expectations, Nokia approached Method, GlobalLogic’s experience design firm, to create a strategy and roadmap for re-envisioning the entire customer experience, from product packaging to the retail environment. Nokia’s multi-phase, multi-year engagement with Method resulted in a framework that helped rationalize the company’s overall product offering across devices and services, including a global reinvention of the Nokia retail store experience. Method collaborated with Nokia to perform comprehensive research about the existing landscape and out-of-box experiences for Nokia products, including reviewing competitive products and interviewing real users around the world. Working closely with Nokia, Method developed an overall customer journey framework to guide multiple divisions within Nokia’s internal design teams. Method then created a brand to embody this framework (“NEX”) and produced a series of branded insights, including a user experience methods book, customer journey map, concepts for out-of-box and set-up experiences for new products, and ideas for interactive retail experiences. Nokia sells a wide range of products that target diverse global markets and retail contexts, meaning that any retail experience solution must be deployed on a wide range of technologies and infrastructures. As such, Method collaborated with GlobalLogic to develop a suite of digital touchpoints that could be deployed on a range of different screen sizes and devices, from low-cost Windows tablets in small partner retailers to large-format touchscreens in flagship stores. Method and GlobalLogic also rolled-out the new service model and systems to Nokia stores worldwide, from training global staff to distributing, installing, and updating applications in-console. The retail solution included the Nokia Concierge, a large-format touchscreen application that allows retail staff to help customers identify the right mobile solution through interactive filtering, comparison, and demonstrations. Method and GlobalLogic also developed a custom analytics tool that tracks the data usage of digital applications to provide insight around product performance and user interests. This tool helps Nokia staff inform their retail designers about how they sell and allows them to curate content that best resonates with local store visitors. 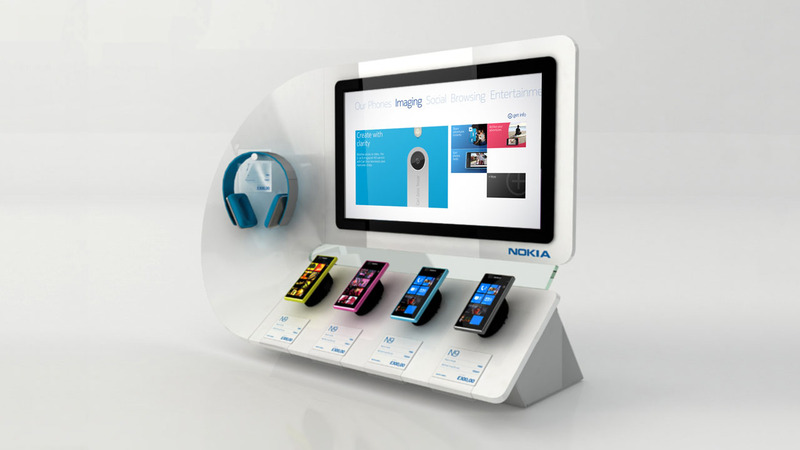 The innovative digital touchpoints were revealed at the Nokia World conference in October 2011 and are currently in use in Nokia retail stores worldwide. The new retail experience was unveiled in conjunction with the launch of the Nokia Lumia smartphone. To promote the award-winning phone’s user experience and hardware design, Method created a suite of applications that showcased the smartphone’s lifestyle benefits. Since the launch of the Nokia Lumia, strong sales of the smartphone are helping Nokia’s mobile phone business achieve profitability and regain market share, as the demand for phones is close to outstripping availability.